A cash out refinance occurs when you replace your first mortgage with another loan. Sometimes this is to obtain a lower interest rate, but often it is to obtain cash. An interest rate on a cash out refinancing is typically lower than an interest rate on a home equity loan, but you will need to pay closing costs for the refinancing, which you would not pay for a home equity loan. At Pulgini & Norton, our Boston real estate attorneys can advise you on cash out refinance options and other mortgage and real estate transaction matters. It is common for homeowners to want to transform equity in their homes into money or credit for such things as home repairs, education for their kids, vacation properties, or investment properties. A cash out refinance occurs if a borrower refinances for more than what is owed on a mortgage and takes the difference in cash. This is distinct from taking out a home equity loan or second mortgage, a home equity line of credit, or a reverse mortgage. With a home equity loan, you are getting a separate loan that will go on top of the first mortgage, whereas with a cash out refinance, you are replacing that first mortgage. In most cases, your interest rate on the cash out refinance will be lower than the interest rate on a home equity loan. You will also need to pay the closing costs, which may be thousands of dollars on a cash out refinance but not on a home equity loan. For example, if you still owe $100,000 on a $200,000 house, you may want to get a lower interest rate, as well as $25,000 for a home improvement. You could potentially refinance the mortgage for $125,000. If you were careful, you would get a better rate on the $100,000 you still owe, as well as the $25,000. The more equity that you have built up in a residential real estate property, the better position in which you may be to qualify for a cash out refinance, particularly if you do not live in the home that is securing the loan. 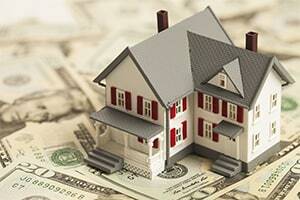 It is not always preferable to get a cash out refinance rather than a home equity loan, however. For example, if you are nearing the end of the life of your mortgage, you may be paying more principal than interest on your mortgage, and you might not want to spend the closing costs that would be needed in a cash out refinance. Our attorneys can look closely at your situation to figure out whether a cash out refinance, a home equity loan, or a reverse mortgage would be appropriate under the circumstances. The appropriate solution to your problem may turn on whether you will save money each month and your reasons for needing the cash. For many people, the most expensive asset that they own is their home. At Pulgini & Norton, our experienced Boston attorneys can advise you on whether it may be a sound decision to get a cash out refinance in a particular situation or for a particular purpose, or whether there may be more viable options. Our firm also handles property transactions in New Bedford, Newton, and Braintree, among other Massachusetts cities. For a consultation with a home financing attorney, contact us online or call us at 781-843-2200.